This spring sees the opening of Norwich International Aviation Academy, a new technical learning facility adjacent to Norwich Airport. NMS are supporting this project with a significant loan from our collections to be displayed in the communal area of this new facility. The object is a large wing frame from the P10 prototype aircraft, built by the Norwich firm, Boulton and Paul in 1919. 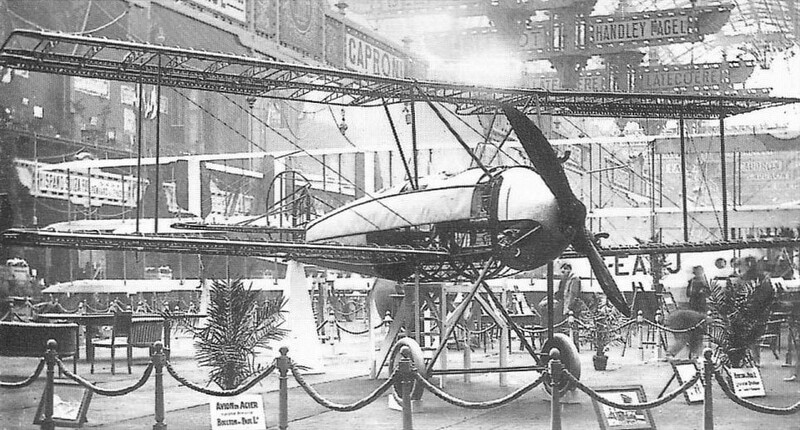 The P10 was the first aeroplane to be built with an all metal structure, and was exhibited at the Paris Air Show in the same year. The wing is constructed from rolled high tensile steel sections, with tubular braces, tensioning wires and struts. Assembly of the wing was done with press fitting, and also with rivets and bolts. The entire wing is made from steel except for the tip section, which is made from a strip of formed sheet aluminium. This wing is the lower starboard wing and would have had a fabric covering to form the flying surface. But it may be that this wing had never actually been used, as there is no evidence of the fabric layer present. The tail section from the same aeroplane is presently on display in the Museum of Norwich. 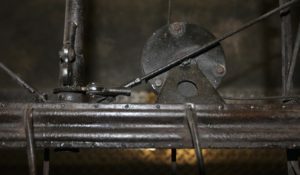 The wing had been given a lacquer coating when it was made, probably to protect it from corrosion, and then a coating of wax had been applied at a later date. 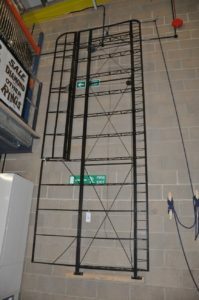 The main challenge with an object like this, is to safely mount it for display. A conservator’s role in such a project, includes advising on suitable methods which will ensure the continued longevity of the object. Conservation have been liaising closely with all parties to agree on appropriate handling and mounting. The wing needs to be clearly visible for the visitor to understand and appreciate it for what it is, and at the same time it needs to be secure and supported so that it doesn’t bear stresses to its component parts over time. 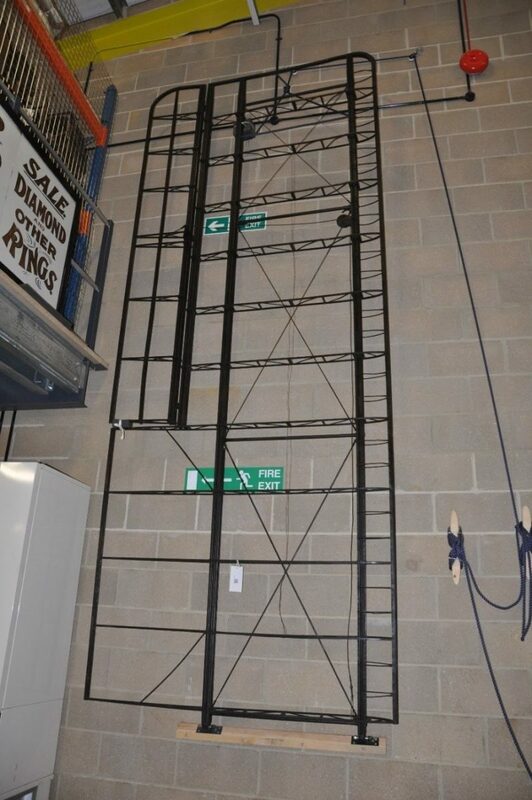 In this case, a solution involving suspending the wing from the roof of the building, using bespoke mounting brackets and steel cables, was decided most appropriate. 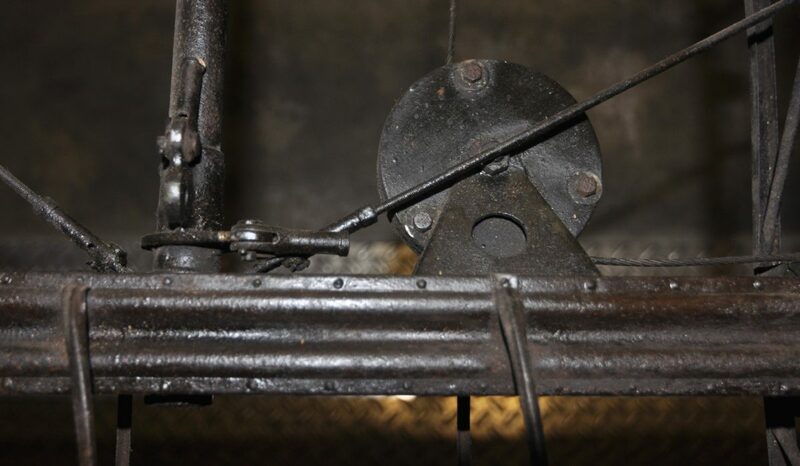 The mounting brackets and suspension system will be made by an engineering firm in close consultation with NMS.